Lewis and Pete decided that the solution to this issue is a modular smart watch concept. Think “Raspberry Pi” for your wrist. 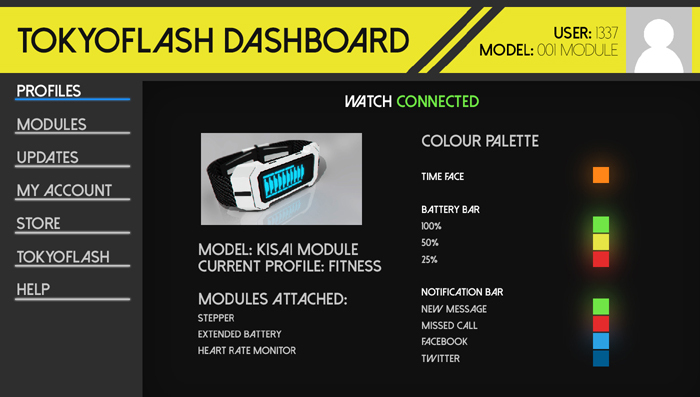 The basic premise is that you buy a basic watch, which includes a common display (Pete has opted for e-paper and Lewis has chosen colour TFT), some basic smart watch functions and connectivity. 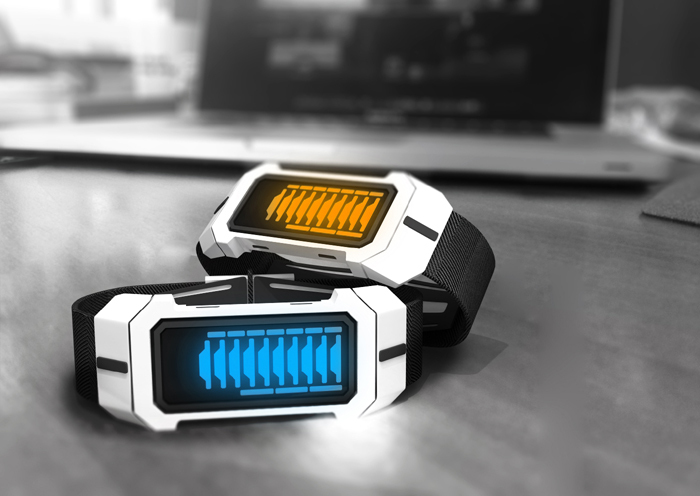 Then extra modules can be bought either separately or as part of bundles which would simple clip in to various micro usb ports on the watch. This allows the customer to pick the features they need and leave the ones out they don’t, and creates a certain amount of customisation. 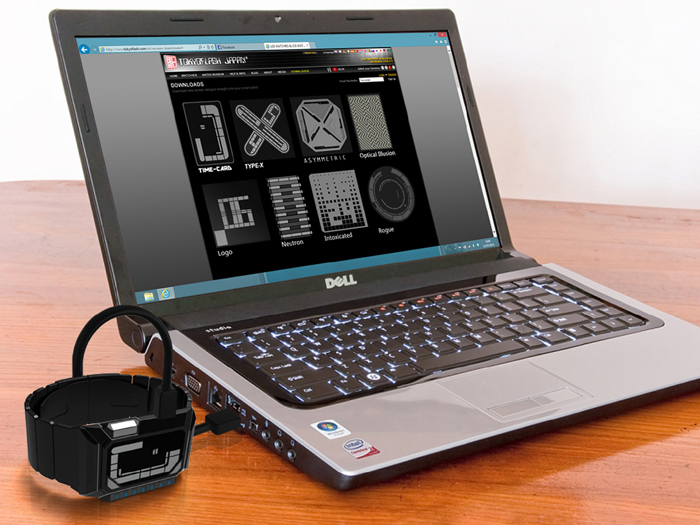 These modules could consist of extra smart features like wi-fi transmitters, Bluetooth and GPS. Maybe extra displays to extend the stock display or add other types like LED or even analogue. Extra memory or adaptors could be fitted for extra connectivity or increased productivity. Maybe gadgets are more your thing, so why not fit a torch or laser pen module? For some people this extra tech may be a step too far and they just wish to customise the look of the watch so they could fit decorative modules and port blanking covers. The time telling could also be customisable by down-loading display styles off the website. This also has the added benefit of allowing more blog designs to become reality even if they are only displays rather than full watches. If e-paper was used colour filters could also be fitted to add an extra layer of customisation. 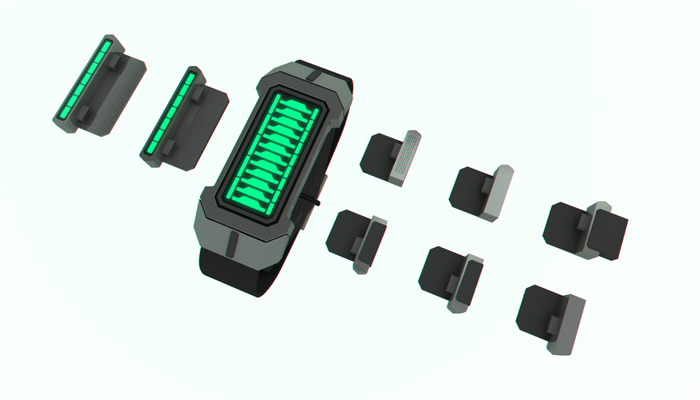 This modular concept allows the watch to be more accessible to more people. Both financially and desirability. It also gives the watch a longer shelf life as it can be easily be upgraded rather than becoming obsolete. 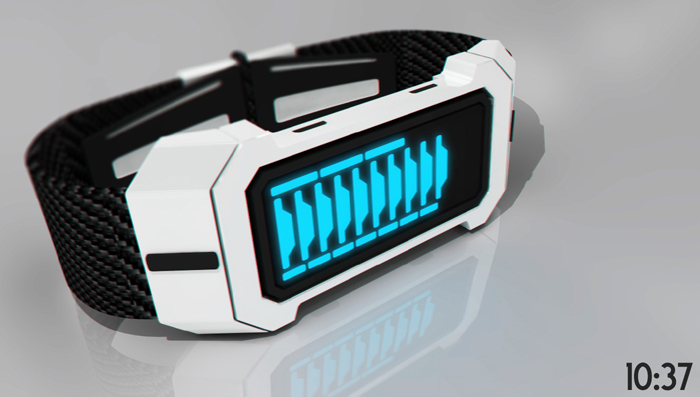 It would allow the watch to be unisex as the modules chosen would decide how subtle or crazy the watch would look. There could even be a couple of body designs, Lewis and Pete couldn’t decide on just one look so we did a model each for the examples. Lewis’s being the more sleek and sporting version and Pete’s being the more industrial of the two. 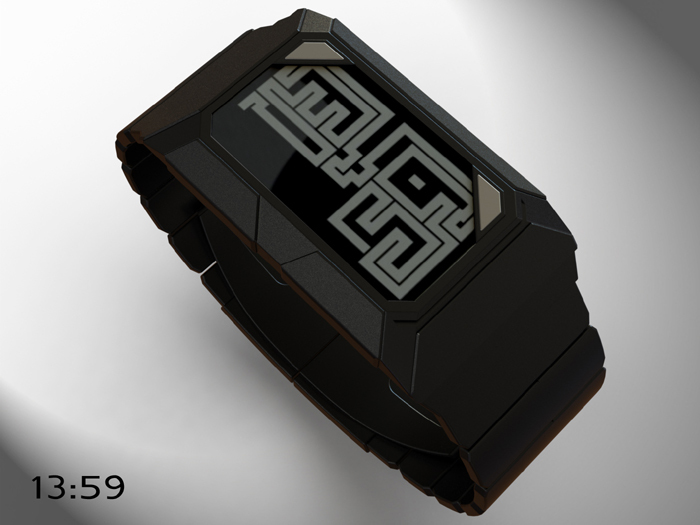 This entry was posted in Bluetooth Watches, Design Submissions and tagged Bluetooth, Bracelet, Concept Watch Design, digital, E-Paper, easy watch, futuristic, TFT, USB, Watch Design Submission. Bookmark the permalink. 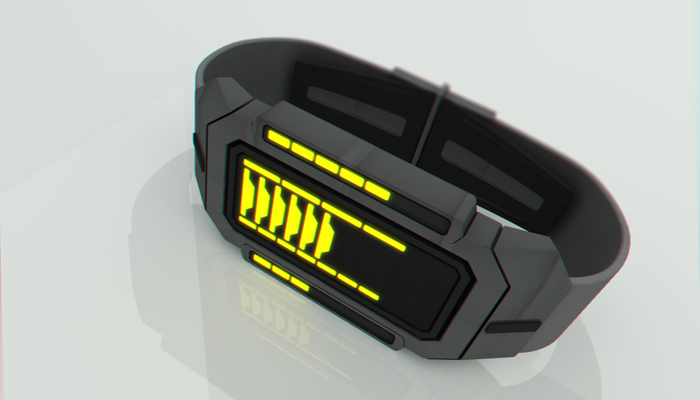 ← Capacitor LED watch for fans of science fact or fiction. That is a pretty cool idea. Add the features you want & it still looks great just as the basic model. This looks amazing. Hopefully one will come out some day. Maybe going USB 3-C format may be a good idea for the future. Cheers for the support Kloryc! New products these days are becoming more and more virtual. I think sometimes its nice to have a physical, tangible, tactile element. Great idea guys. 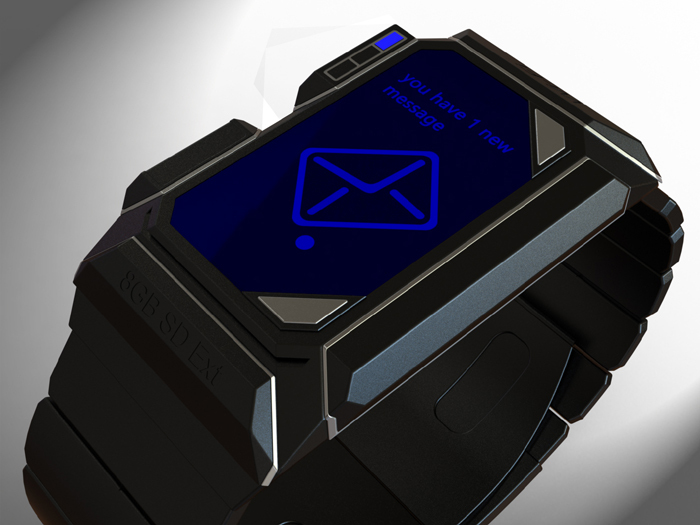 A smart design for smart watch. I like that you’ve avoided going too far. I probably would have included different screen shapes and sizes, but that would have given extra manufacturing challenges and a challenge to developers creating apps and faces for it (which sizes / shapes to do?). All possible, but keeping it simple is probably best. We think this idea has real premise. We understand it would be a difficult project to undertake but what a world it would be if Toky made the first smart watch that people have full control over. The displays meant that the battery life could match a Pebble. The personalisation goes beyond an Iwatch and even if you have the base model without a single module you still get a bespoke Toky design on your wrist with cryptic displays. 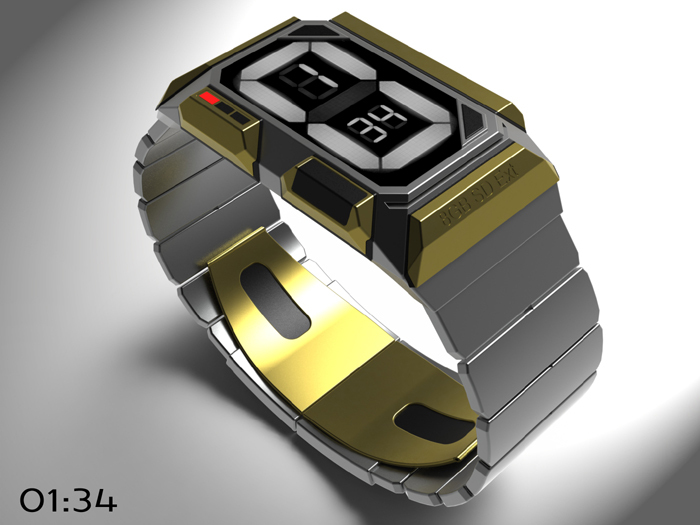 This is a good concept for a customizable watch. I really like the second picture displaying 13:59. Yes, I know and I appreciate it, but just couldn’t resist the flowing lines of the “snake”! I like the idea of adding/removing the indicators we need/don’t need. It can be customized depending on what activity we will do & changed many time. I have a concern about the plausibility of not realizing that 1 have fallen & losing it. Overall look: both are nice. In Pete model, I like the slot to add a colored plate (other than it should be inserted from the top to reduce the chance of losing it). I’d go with the one that is less high. I like the 5-12-9 by Lewis & Pete digit in digit. An excellent executed concept point to perhaps a new direction for Tokyo Flash Japan creating / building customized watches to suit an individual’s requirements. Their are however their are other existing Smart watches that are rectangular case / screen. 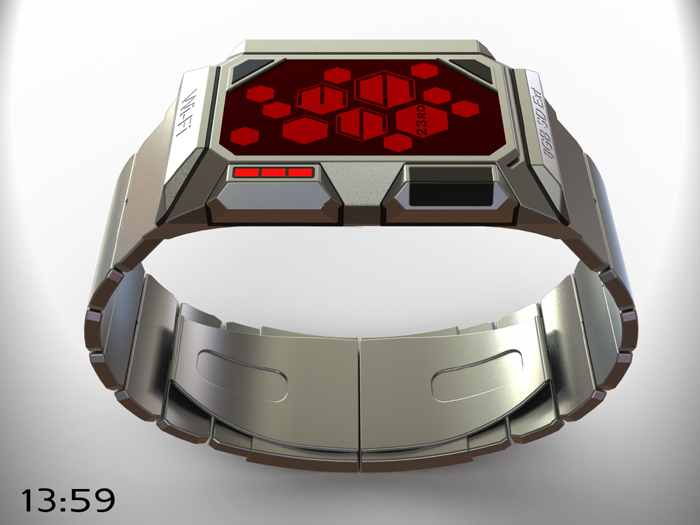 Perhaps other Tokyo Flash watch cases could include Modular features: Square / Hexagonal Etc. 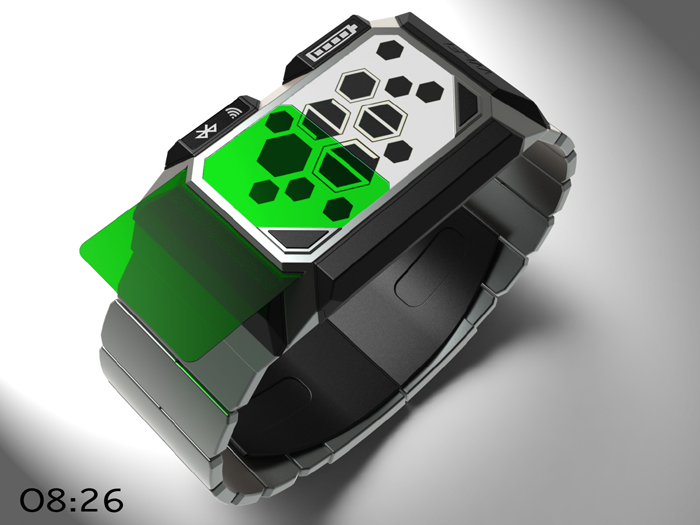 ohh I like the idea of a software and hardware customizable watch. great ! guess I would prefer the e-ink version.